(850W).1. 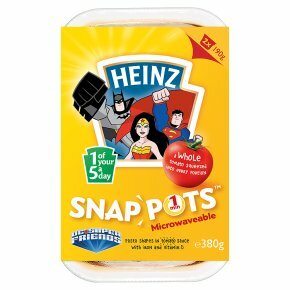 Snap off one pot, peel film back and place on a microwaveable plate.2. Heat for 30 seconds on full power. Stir thoroughly.3. Heat for a further 30 seconds on full power (time given is approximate).4. Remove from microwave and stir.CAUTION: WILL BE HOT.Eat at once. Do not reheat.